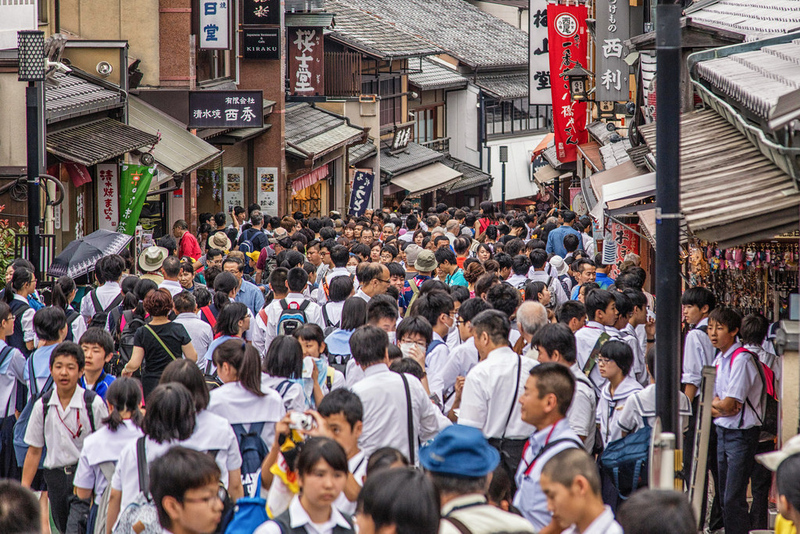 It’s no secret: Kyoto is crowded these days. But with a little planning and effort you can have entire temples and gardens to yourself. Here’s how to escape the crowds in Kyoto. Kyoto is more crowded than ever before. However, only about a dozen spots are really crowded. It’s easy to avoid the crowded spots. Quiet spots are often right around the corner from busy spots. Cherry blossom season (late March~early April) is the most crowded season. Golden Week (early May) and foliage season (November) are also crowded, but not too crowded for travel. Visit popular spots on weekdays, just after opening or just before closing. Use our off-the-beaten-track itineraries to avoid the worst crowds. 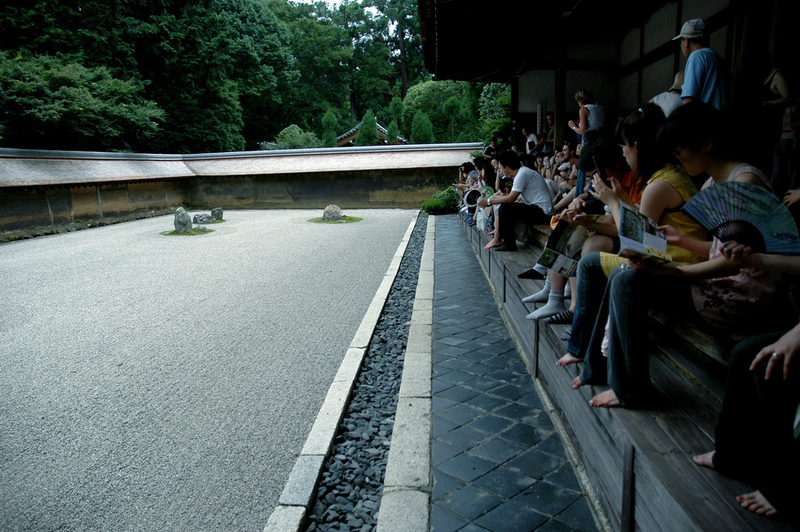 In recent years, Kyoto has been receiving record numbers of foreign tourists. The main reason for this is a change in Japanese visa requirements for nearby Asian nations like China. Kyoto is now flooded with Chinese tour groups (along with Korean, Taiwanese, Thai and many others). Western visitors are also coming in record numbers, attracted by the affordability of Japan due to weak yen. The result is that Kyoto is now filled to capacity with tourists. And in busy seasons, it’s way beyond capacity. So, what are you going to do? Here’s the good news: The vast majority of tourists, especially those in tour groups, visit a very small number of locations in Kyoto. That leaves leaves the rest of the city relatively free from crowds, even in busy seasons like April and November. So, don’t be put off by stories of big crowds in Kyoto. Places are crowded because everyone goes there. Don’t be everyone! Be an individual – go your own way. Here’s how. If you want to avoid crowds, you have to know where they gather. 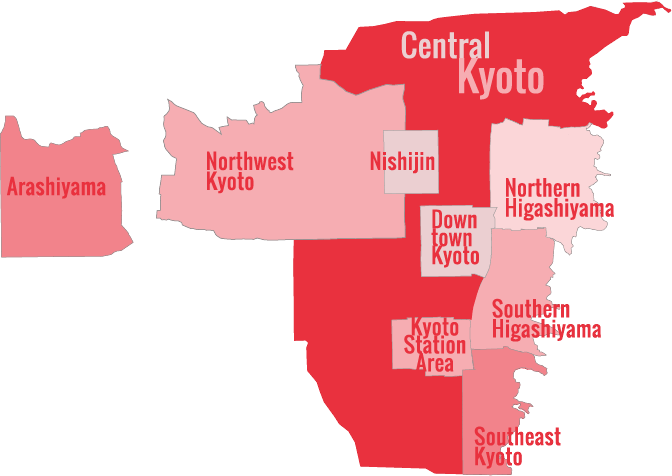 Here is a list of the most crowded places in Kyoto, in order of most crowded first. Of these, cherry blossom season is by far the most crowded. To be honest, considering the higher rooms rates you’ll pay, the crowds you’ll have to deal with, and the frequently cool and rainy weather, we just don’t think it’s worth visiting in cherry blossom season. 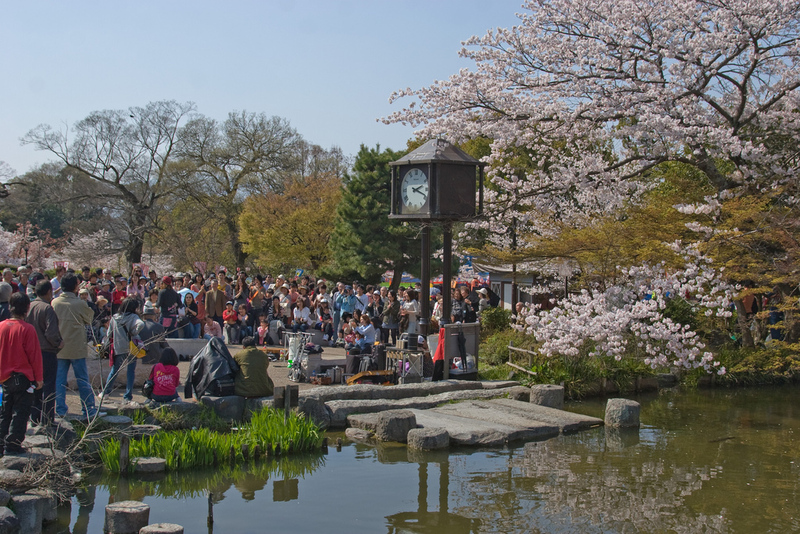 If you can just wait a few weeks until after May 7 (the end of Golden Week), you’ll get cheaper rooms, fewer crowds, better weather and plenty of blooming flowers and trees. Indeed, we consider May to be the best month to visit Kyoto. But, if you insist on visiting during cherry blossom season, you can avoid the crowds with our Kyoto One-Day Off-the-Beaten-Track Cherry Blossom Itinerary. 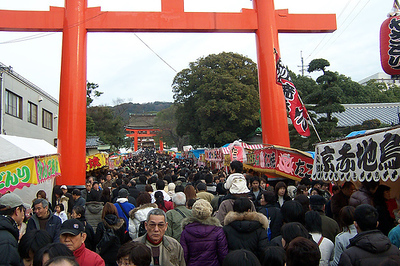 Golden Week is a Japanese holiday that is a popular time for Japanese to travel. It’s not as crowded as cherry blossom season, but it’s still best to avoid if you don’t like crowds. The fall foliage season is not as crowded as the cherry blossom season, so it’s not necessary to avoid this season. Just be sure to book rooms well in advance. If you visit during foliage season, you can avoid the crowds with our Kyoto Off-the-Beaten Track Fall Foliage Itinerary. Of course, some of the crowded places we’ve mentioned on this page are well worth visiting. But, if you want to really enjoy them, it’s crucial to go when they are not crowded. Just go right after the place opens, or within an hour of the place closing. And, keep in mind that shrines and some parts of big temples like Nanzen-ji are open 24 hours a day, so you can stroll the grounds in the early morning or early evening almost entirely by yourself. Also, if you have a choice, visit on a weekday rather than on a weekend. Mondays are usually the least crowded, but remember that most museums are closed on Mondays. 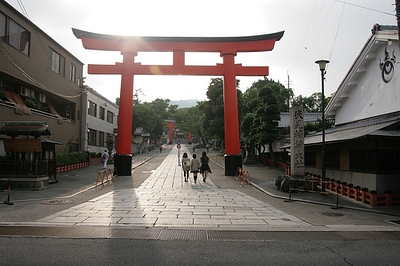 There are over a thousand temples in Kyoto, but only about a dozen of them are world famous. The same is true for shrines, gardens, restaurants and shops. There are entire districts of Kyoto that lie off of the beaten tourist track. The temples of far Northern Higashiyama are beautiful and usually deserted. Highlights in this area include Manshu-in, Shisen-do and Enko-ji. Likewise, in Arashiyama, if you walk north of the busy Bamboo Grove area, you’ll find several quiet spots like Gio-ji and Adashino-Nembutsu-ji. 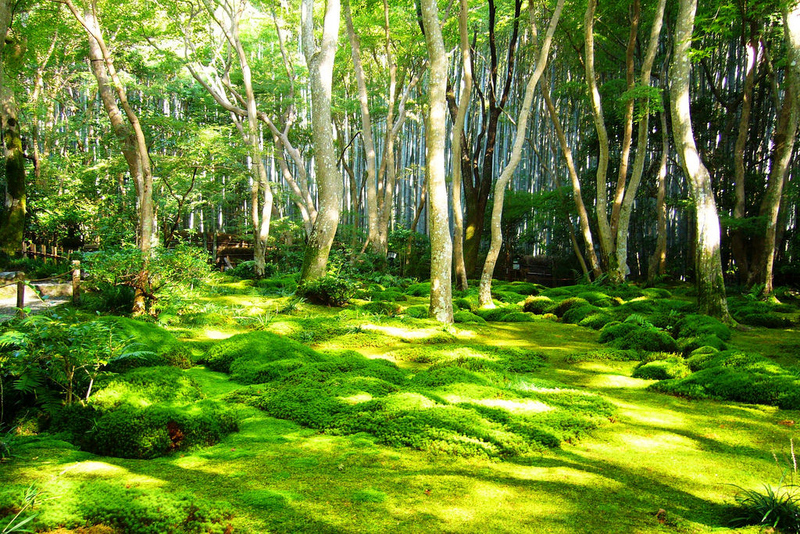 And, the subtemples of Myoshin-ji and Daitoku-ji are usually very quiet. If you come during cherry blossom season, Golden Week or fall foliage season, you might find it nearly impossible to get a room. Don’t despair, there are plenty of places nearby where you can likely find a place to stay. Visit our Where to Stay if Kyoto is Fully Booked page for details.